Saying a beer tastes "watery" isn't saying much at all. 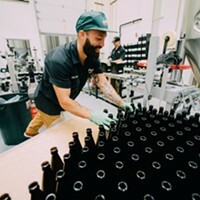 "About 95 percent of the final product of beer, give or take, is water," said Deschutes Brewery assistant brewmaster Ryan Schmiege. It is true that paler beers, like pilsners, often contain a little more water while bigger, darker beers have less water and more sugar and alcohol. Still, water is one of the four primary ingredients that make a beer taste like beer. And because it is used in such great quantities, quality is extremely important. "We all know Bend has awesome water," said Gary Fish, who established Deschutes Brewery in downtown Bend in 1988. Deschutes was Central Oregon's first brewery and remains one of its best. 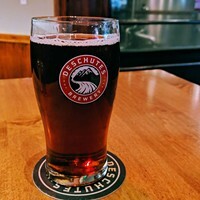 And in the 26 years since the cozy Bond Street pub opened, Deschutes has become one of the nation's largest craft brewers (in 2012 the American Brewers Association pegged Deschutes as the fifth largest craft brewery in the country). Deschutes now distributes to all the western states, including Alaska and Hawaii, and can be found as far east as Pennsylvania. In short, Deschutes' continued success and expansion is making a lot people happy. East coasters are no doubt drooling with anticipation. What Deschutes fans may or may not realize, however, is that they're consuming gallons of Bend water. "You've got to have a nice clean supply, of course," Schmiege said. And Deschutes does. But that doesn't mean Central Oregon's biggest brewery doesn't treat Bend's award winning water (seriously, Bend has won awards for its tasty water)—they do. The city adds chlorine to the water, which Deschutes filters out. Beyond that, Deschutes brewers add or subtract other minerals to achieve certain tastes. 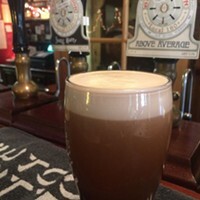 For instance, to really nail a true English ale, the water must taste like it came from the aquifer at Burton upon Trent in Central England. To achieve such a taste, Schmiege said, extra minerals, like gypsum, are added to alter the water's acidity levels. "What we're doing is putting the water in a position where the sugars are converted correctly," said Schmiege. "We don't do much—we're trying to leave it (the water) as natural as possible." Can Cans Taste As Good?